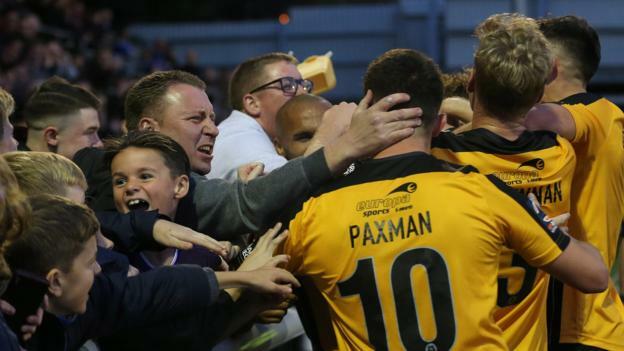 Non-league sides Stockport County and Maidstone knocked out EFL opposition in the FA Cup first round on Saturday. National League North side Stockport came back from a goal down to defeat League Two Yeovil thanks to strikes from Matthew Warburton, Nyal Bell and Frank Mulhern. Blair Turgott grabbed the winner as National League side Maidstone beat the EFL’s bottom side Macclesfield 2-1. Kabongo Tshimanga scored a hat-trick for National League South outfit Oxford City against Tranmere, but a late James Norwood leveller means they must replay after a 3-3 draw.